If you’ve made the decision to invest in consumer electronic products empowered with Bose SoundTouch technology, congratulations! 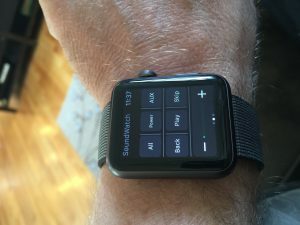 If you’ve also adopted the Apple ecosystem of products and own an Apple Watch, I’ve discovered something you might find interesting. On the iTunes Store is an application called Controller for BOSE SoundTouch Systems. Authored by Christian Podlipny. 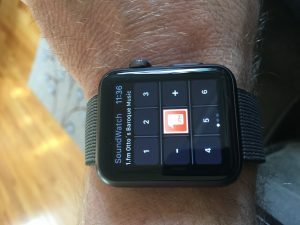 An app for iPad or iPhone with a companion Apple Watch application. In fact, I don’t think the iPhone and iPad apps do anything but simple IP Address set up for use by the Watch application. 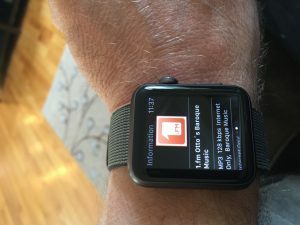 If you don’t have an Apple Watch, you can stop reading right now. I installed the application on my phone, then used the iPhone Watch App to install the Watch Application. I used the iDevice app to add a speaker manually using it’s IP Address. When you launch on the same network, you’ll see your speakers show up in a list. Selecting them brings up some dialogs in German, some in English. Confusing there. I don’t think you can actually select a speaker and have that be the controller on your watch. Until I added one by IP Address (I think you press volume down and 2 at the same time for 5 seconds on the speaker itself to display it’s assigned IP). I know why the developer did this and it’s a shortcut-workaround for more development work. 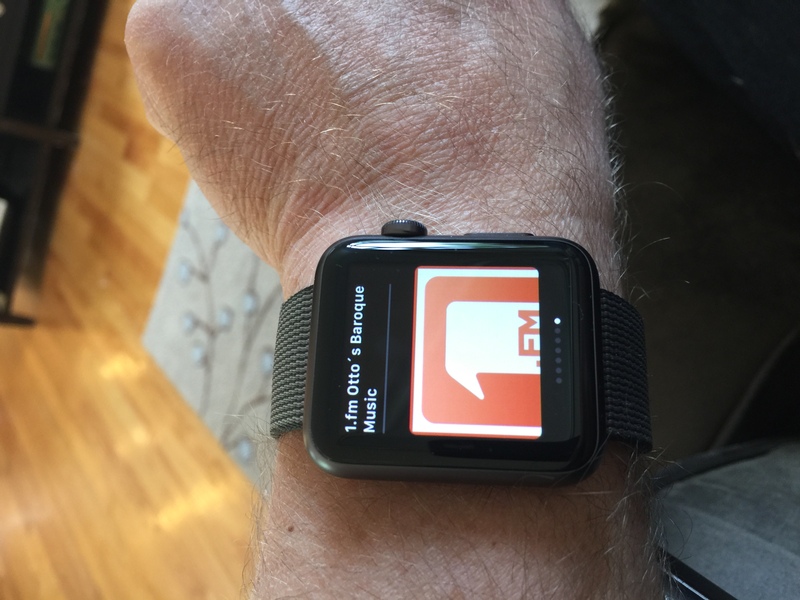 Anyway, once added manually, the Glance showed the preset I was currently enjoying (fm Otto’s Baroque Music) . 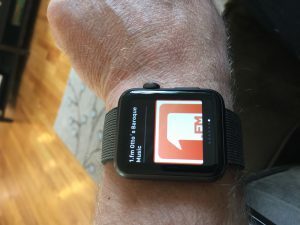 When I launched the app on the watch, I got a bunch of great controls: 6 presets with current station, volume up and down, All (play everywhere), Power, AUX, Back, Play, Skip, and more details including station artwork. The app is fairly snappy to be honest. I’m generally not too far away from any of my networked speakers, and we do have remotes around, but getting play everywhere on my wrist alone is pretty snazzy. Getting textual and artwork feedback about the currently selected preset (station) is wonderful too. Check it out if you’re a Bose SoundTouch customer and own an Apple Watch. Setup was a little wonky, but afterwards you’re skiing in knee-deep powder. Lovely. Thanks for this. Can’t seem to get app installed on watch. It just says “installing”. I can’t vouch for this application as I didn’t write it – but it did install and run for me. If you are a developer, you can use an open source project that I put on GitHub. STBonjour – this has an Apple Watch application that will install with it.